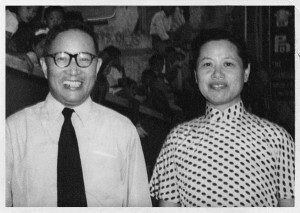 Chou Sing Chu, founder of World Book Company, with his wife. 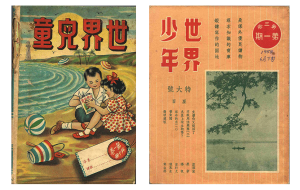 In 1924, Mr Chou Sing Chu established Cheng Hing Company in Singapore, which subsequently evolved into World Book Company and Popular Book Company, and expanded to places like Malaysia and Indonesia. As one of the major bookstores in the 20th century, Mr Chou’s bookstores had accompanied many through their growing up years. To celebrate Popular Holdings’ 95th anniversary in 2019, Chou Sing Chu Foundation (CSCF) has started a collection drive to gather all information and related items about Mr Chou and his bookstores. World Children a companion for many children in their growing-up years. All types of information and items related to Mr Chou and his bookstores are welcomed. Examples include books and periodicals bought from or published by World Book Company, photographs taken with Mr Chou or at any of his bookstores, posters, official and/or private correspondence with Mr Chou, or any published materials about Mr Chou and/or his bookstores in newspapers or magazines. Information in other formats like audio and/or video recording, manuscripts, or personal effects like diary, letter of appointment, personal identification documents, are also welcomed. Please include detailed information about your submission, like name, contact details, origin, significance, date, and place. Donation. CSCF will document and acknowledge all donations. Duplication. CSCF will undertake duplication, like scanning, photocopying and photographing, before returning. Please note that the collected information and items may be used in CSCF’s future publications, with credits made to the respective owners. Drop by our office personally during our office hours. Otherwise, please email or call us for alternate arrangement.